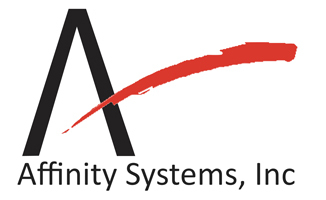 About | Affinity Systems, Inc.
Affinity Systems, Inc. creates, designs and builds digital systems for business and the entertainment industry. We provide businesses with creative knowledge, and provide consulting services that return results, and build systems that work. Digital Video channels, branding expertise, high level programming and design. Innovative web sites which exhibit defined business needs, and provide rich content for rapidly expanding media view. eCommerce designs which expose small businesses to greater markets and customers. Graphical designs which reflect client qualities and goals, and move the present to now. We have designed and built large customer service system applications for corporate clients such as Chase Credit Cards, Verizon, John Hancock, Manulife, Home Insurance, Marten Transport and New York Life.